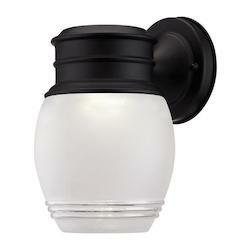 Outdoor LED lighting can perform various functions in your home or business. On the one hand, LED outdoor flood lights and similar types of strong and bright lighting can be used to provide some additional security for your home. Flood lighting is a great deterrent for intruders as well as being handy for those times when you arrive home late at night and do not want to be fumbling for your keys and trying to see the lock of your front door in the dark. On the other hand, beautiful garden lights will help to turn a simple patio or lawn into an atmospheric place for dining, relaxing or socializing. Our range of LED lighting for outdoor spaces is wonderfully varied and inspiring, and there really is something to suit everyone here. 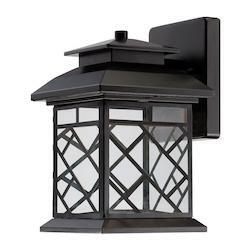 Whether you are seeking some vintage style lanterns to give a welcoming feel to your front porch, or whether you need some strong spotlights to keep the communal areas of a campsite feeling safe and accessible throughout the night you will have no trouble finding just what you need in this eclectic collection of high quality outdoor lighting. Read on to learn about some of the key types of outdoor lighting that we offer, and the applications of these various types of LED lighting in your home or business. So, jump right in and get ready for some serious inspiration. These ideas will help you to totally transform the outdoor spaces in your home. 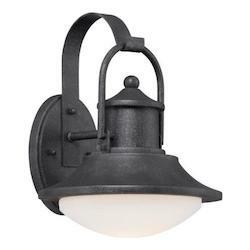 Whether you have a small balcony attached to your apartment or a huge lawn that you love to hold parties on each year, our collection of outdoor lighting will help you to make the most of all of those paved and green spaces. LED lighting is ideal for security lighting. 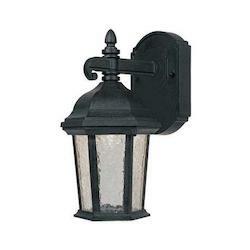 Flood lighting and spotlights are both great for adding some extra security levels to the outside of your home. Flood lighting is perfect for illuminating a driveway or a lawn, whilst spot lighting can be placed in a porch or a stairwell to provide adequate illumination whilst people come and go from the front doors of a building. Outdoor LED security lights can be integrated with a motion sensor so that they automatically turn on whenever motion is detected within a certain perimeter of your home. That means that as you are walking up the garden path with your hands full of grocery bags after work there will be no need to attempt to juggle everything that you are carrying in order to flick on a light switch: the lights will come on automatically. These sensors can be very sensitive, and they can pick up on even the smallest of movements from even several meters away from the position of the sensor. You can even hook these motion sensors up to an alarm system if you wish for certain areas of the property (such as the garage). And, of course, strong floodlights positioned at the entrance to your property will be very effective for deterring intruders. These automatic lights will also usually be designed so that they will only be activated in certain levels of darkness, and not during the day. That way, you can have the peace of mind that comes from knowing that your outdoor lights will not unnecessarily add to your energy bills by coming on automatically during the day time when they are not needed. We can offer you outdoor LED down lights to place over a car parking space or garage, too, so that when you arrive home you will instantly feel that you are welcome. 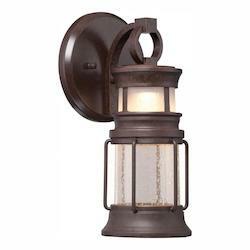 There is also a safety element to outdoor lighting such as this. LED strip lights can be used to highlight steps or low hanging porch fronts so that unwary visitors do not slip or otherwise injure themselves. You may also want to place LED lights beside important signs, such as “Beware the Dog’ or “Please Close the Gate” so that visitors will be able to read them at night time as well. Simple fluorescent strips or panel style lights are usually sufficient for this purpose, though you can also add a touch of class to your LED safety lighting by exploring our range of rustic lanterns, clean and modernist bulbs and vintage style nautical lamps. First impressions count, and so it is always worthwhile to take care with your front door lighting. 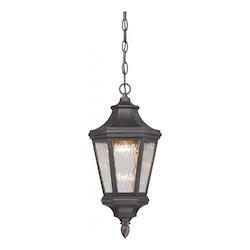 Traditional wrought iron lanterns with candle style bulbs, smoked glass hurricane lamps fitted with electric bulbs and even fairy lights on strings are just a few examples of the ways in which you can make your front door or front porch aesthetically pleasing. There are no limits to what you can do with the outdoor LED light fixtures that you place beside the main door to your property. If you have a sheltered porch area, for example, you could even splash out on a resplendent outdoor LED chandelier. 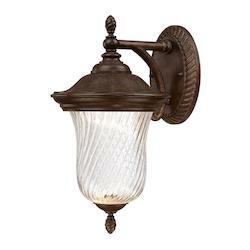 This type of light fixture really does make a fantastic first impression when it is placed in the entrance to your home. 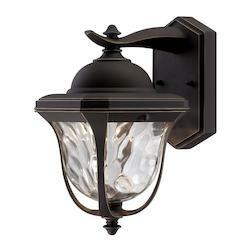 In sum, all too often homeowners reserve the best lighting for their sitting rooms, dining rooms or master bedrooms. 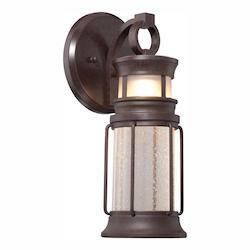 However, nothing says “welcome” like a beautiful and finely crafted outdoor light. 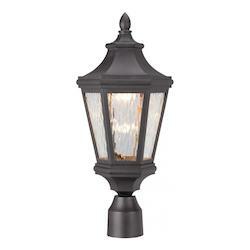 So, explore our exciting range of front door lighting today! From the chic to the quirky, and from the rustic to the sleek and futuristic we have LED lights for all kinds of front doors. 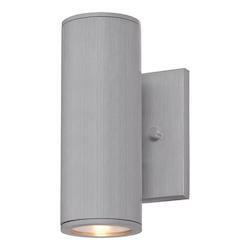 We have plenty of outdoor recessed LED lighting solutions especially for porches, too, so if you need an eye catching LED outdoor sconce, you have come to the right place. When the weather gets warmer, one of the very best things to do can be to sit with friends and loved ones on your patio or in your back yard, enjoying some food, wine and great conversation. Make the occasion unforgettable by investing in some outdoor LED lamp and lighting solutions that bring charm and enchantment to the occasion. For example, adding some table lamps with colorful bulbs to your patio table will make for a wonderfully romantic dining experience. A tall standing outdoor lamp with an attractively shaped stem is also a great option for turning your patio or back yard into a lovely place to be. Outdoor color LED lighting is perfect for parties, too, as it can be strung around a dance area or over a marquee, or simply placed along a pathway to light guests’ feet as they walk up to your door. 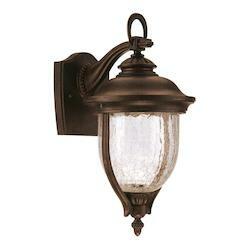 We have a superb collection of LED outdoor lighting fixtures for your to browse. Whether you want outdoor LED area lighting for a summer ball on a spacious lawn, or simply a chic retro style lamp to enable you and your guests to dine outside on the patio and enjoy the heat of a summer evening, we will be sure to have exactly what you need. 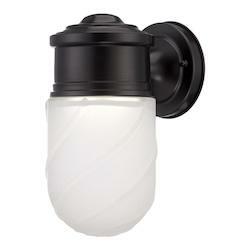 And, make sure to take a look at our selection of battery operated LED lights for outdoor. These battery powered lights are very convenient because, thanks to the simple presence of a 12V battery, you can place them as far away from your house as you like without having to worry about mains plugs and wires stretching across the garden. Do you have a gorgeous beech tree in the center of your back yard? Or maybe you have a fantastic water feature that you would love to be able to see during the nighttime as well as by day? Simply install some LED garden lights and you can see that water fountain tumbling charmingly away throughout the night, or turn a garden bench into a magical place to sit with a glass of wine. One great idea is to string some fairy lights through the branches of a tree, or weave them through the gaps in a wooden terrace. 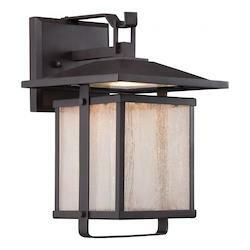 Light it up and you instantly create an enchanting feel in your back yard. Lights like this are not just for festive occasions – our hardy and durable LED lights are perfect for any time of year. Or, use LED up lights with different color bulbs in (it is also possible to purchase bulbs that change color gradually to create a kind of rainbow effect) and place them beside a garden pond, statue or water feature. 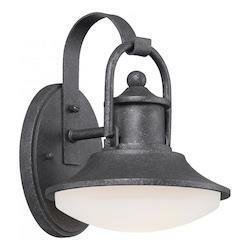 We can provide you with a variety of LED outdoor lighting fixtures that are totally waterproof, and many of them are designed to be placed at the base of water fountains, too. 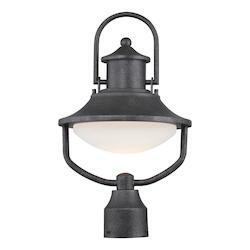 With these water and weather resistant lights, you do not need to worry about rushing out of doors during a storm to save the garden lighting from the rain! Your lights will work just as well in wet conditions as in dry ones. Another great option to explore when it comes to making the most of your garden is outdoor LED landscape lighting. If you have a landscaped garden, you can highlight those gorgeous contours and attractive seating areas, those pretty rockeries and beautifully winding paths by using strategically placed lighting fixtures. If you want to create a unified and harmonious look for your garden, you will be delighted to hear that we have plenty of special lighting kits for installing out in the garden. And, if you have not had your garden professionally landscaped, the cunning use of outdoor lighting will help you to create a landscaping effect as dusk falls. Why hide the best features of your beloved garden just because night has fallen? Even a single, well-placed outdoor LED lamp can turn a garden pond into a dazzling light display. 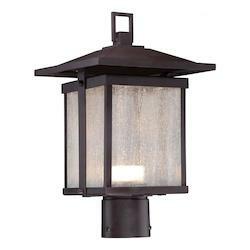 We have garden lighting solutions for all sizes and shapes of gardens. 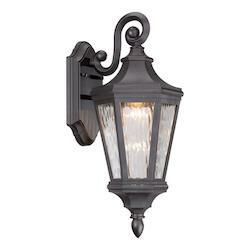 In addition, if you live in an apartment and have a window box or a small balcony as opposed to a garden, we will nevertheless have lots of ideas to inspire you with our garden lighting range. Whether you are shopping for lights for commercial or for private properties, it is always a good idea to think about what types of bulbs you want to use. For example, garden lighting is often something that property owners simply want to install and then not worry about replacing or maintaining for at least a year. If this is the case with you, it is a good idea to purchase long life, low voltage bulbs that will cause you the minimum amount of hassle. Energy saving and eco friendly bulbs are another popular choice: as well as being good for the environment, they will help you to cut costs with your energy bills. 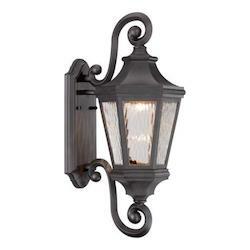 If you are planning on installing LED outdoor wall lights beside your front door, moreover, you may understandably be worried that these lights will attract moths and other insects. 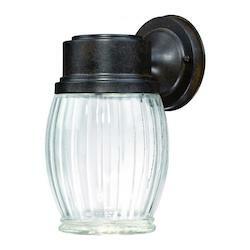 However, it is possible to purchase cheap bulbs that are designed to keep insects at bay rather than attract them. 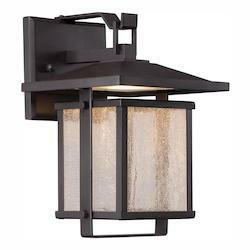 This type of lighting provides a kind of insect proof screen that stops your guests from being bothered by gnats when they come to knock at your front door. And, of course, adding colorful LED bulbs to your outdoor light fixtures will always help to get the party started in style. The above ideas are designed to help you to get started with choosing LED lighting for the outdoors. 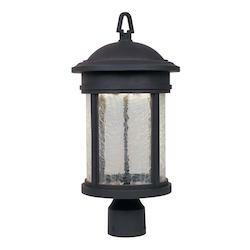 As you can see, the simple addition of a rustic lantern by the front door, a colorful string of lights in a tree or along a terrace, a floodlight for a garden path or a strip light positioned parallel to a front step will instantly make your garden a more secure, safe and pleasant place to be. So, why not step out onto your back yard, lawn, patio or balcony right now and start thinking about what type of lighting would help you to make the most of the outdoor spaces on your property?